We saw a 12% lift in booking conversion rates in just 4 weeks. On top of it, we achieved 62X ROI on our investment in EmbedSocial. Take control of your online reputation. 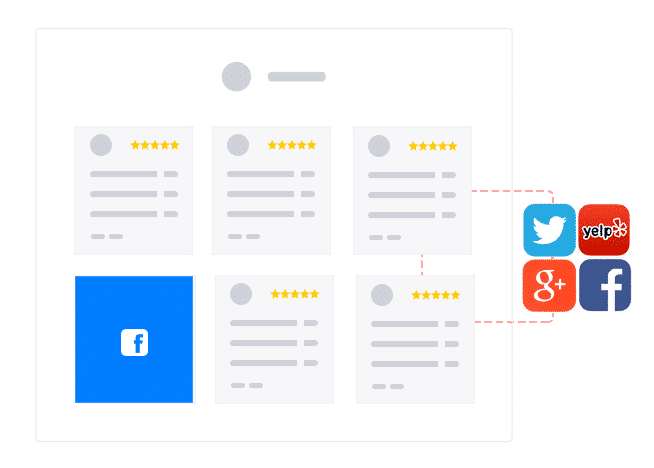 Fetch reviews from your Facebook Pages and Google locations or collect reviews directly on your website that EmbedSocial can automatically display in a beautiful review feed. 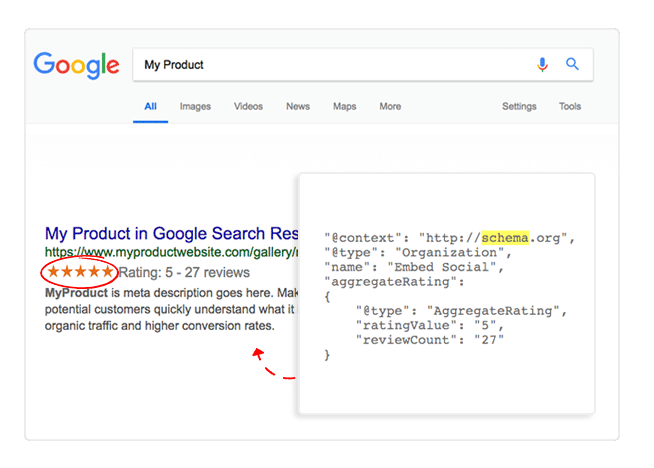 Generate and embed schema codes for your product pages that will display aggregated rating next to their Google search listings. Collect and curate user-generated content, right on your website. Use buttons, floating pop-overs or embeddable forms with Facebook login to provide authentication of your customers. EmbedSocial is a content generation platform allowing users to fetch their social media content and display on any website, in seconds. 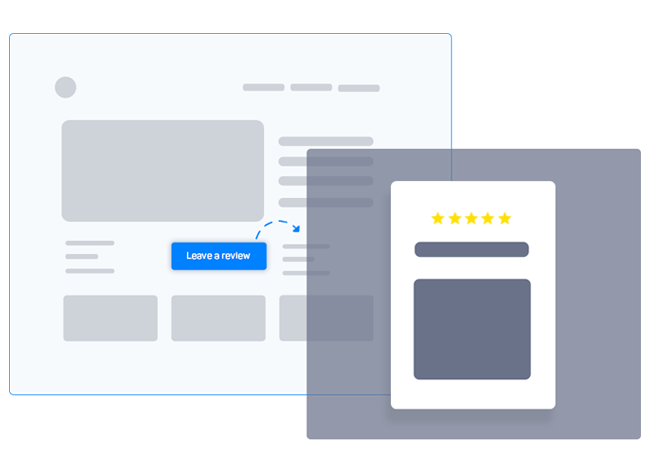 It provides businesses with social proof tools that enhance trust and relevance of their websites, resulting in a boost in their online conversions. Can I customize my reviews widgets? Yes, the PRO version allows a variety of options your widgets designs, with options to change the layouts in a grid, carousel or slideshow formats. Can I connect multiple Facebook Pages or Google locations? Yes. The platform supports multiple Facebook Pages or Google Locations and based on their number you can choose a pricing plan that will fit the most of your needs. Yes, our team will provide you support on how to setup or any questions you might have. Feel free to chat with us any time. Our plans start from $19/month and are based on the number of sources = social media accounts that you want to connect to the platform. The payment is provided by a secure merchant provider (Braintree) and PayPal allowing payments with any credit card. The billing period is on a monthly or yearly basis. For companies that need to pay via wire transfer, please contact us at contact@embedsocial.com.